Looking for Social Media Marketing that packs a punch? Let me guess – your small business has been struggling with producing real results from using different social media platforms. Am I right? Don’t feel bad. Truth is, most small business owners are experiencing the same problem with social media marketing every day. The reason is simple: you’re an expert in the products and services provided by your business, but you’re not a social media expert. Many business owners are under the impression that anyone can be successful with a social media marketing campaign, but without the understanding and knowledge of a social media expert, you might be wasting your time. Just like being a world famous brain surgeon does not qualify you to swap out engines in your car, simply becoming a business owner does not magically grant you the highly targeted skills required for social media management. Turn The Page Oregon is your local social media expert. Let our social media experts help you achieve measurable results through strategic social media marketing. At some point, all business owners and CEO’s have been told – “Your business needs to be on social media.” Whether you are aware of it or not, every single business, including yours, has a social online presence. If you’re not marketing on places like Facebook or Twitter, consumers will notice. They’re not waiting for you to start your businesses social media marketing, they are moving onto the next company who has a stellar social media profile. When the lights suddenly went out in the Superdome for over a half-hour during the Super Bowl in 2013, Oreo designed & implemented one of the most infamous social media campaigns within minutes. The “You Can Still Dunk in the Dark” campaign on Twitter. A single tweet through social media outperformed the Super Bowl commercial they had invested millions of dollars in proves that social media advertising has a huge impact on businesses. Every business owner knows that they need to be tapping into social media marketing, whether it’s one platform or 5. Statistics show that a staggering 90% of companies today use social media as an important tool for growing their customer base, but the question is… how do they do it? More importantly, how can your business do it successfully, efficiently and cost effectively? Should your social media marketing involve Facebook, Twitter, YouTube, LinkedIn or Pinterest? Maybe you need to be involved in all of them or maybe only 3 of them are a perfect fit for your business. How often do I need to be posting and what kind of post should I be making? These critical business decisions require a social media expert. Turn the Page Oregon makes it easy for you and provides comprehensive social media options designed to complement your unique business brand and marketing strategy. Listed below are some of our options. Let our knowledgeable and experienced social media experts help utilize social media to engage your customers. Give your business the personal touch that your customers demand. We generate and moderate conversations, manage customer relationships, and build data-rich social profiles. Monitoring your reputation online is critical. Your brand is defined by social interactions online. Understanding what your customers are saying will assist in the growth of your brand. Analyze and report metrics for all social media platforms providing easy understanding of ROI and Engagement. The Digital Age is upon us, embrace it! What better way to increase your business and customer base than by using social media marketing as a tool to help your business excel. You know you need the best social media marketing campaign for business to thrive and we can help you with that. Allow the social media experts at TTP Oregon to develop your prominence and social media engagement across a range of social networks and you will become known as a brand leader in your field. Call us at (971) 200-1670 today and find out how affordable and effective social media optimization can be. 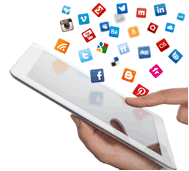 Let our social media experts help you prosper in the digital age with social media marketing.